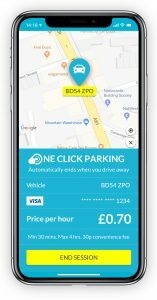 HARROGATE, UK – 28 January 2019: AppyParking, the kerbside management and smart parking technology firm, has announced their innovative Smart City Parking solution is now fully available to Harrogate’s residents. 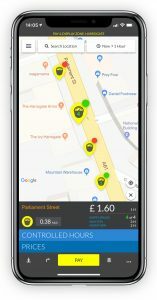 The launch represents an important milestone in the UK start-up’s mission to make parking forgettable by providing transformative user experiences for motorists and data-driven solutions for local authorities to better understand and manage kerbside assets. The Smart City Parking solution is the first of its kind to integrate technical capabilities such as smart parking sensors, automatic number plate recognition (ANPR) barriers and sensor-enabled payments into a consolidated system, offering a seamless experience for users across both on and off-street parkingand a powerful kerbside utilisation tool for local authorities. 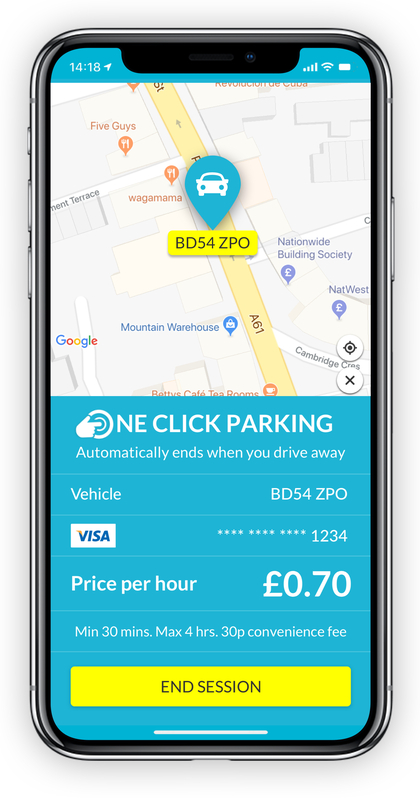 One Click Parking™, a concept created by AppyParking with the support of payments technology company Visa, enables users of the app, once parked over a sensor, to start and pay for parking sessions that automatically end when they drive away. Users of the app will benefit from pay-per-minute rates, allowing drivers to pay only for the time they are parked and avoid paying upfront for time they don’t use with a pay and display ticket. With full visibility of parking availability across the town, users can check for spaces near their destination and then drive straight there, reducing the time and fuel spent looking for parking, helping ease congestion and contributing to a reduction in vehicle emissions. Through the service, the councils also have access to an analytics dashboard which shows parking utilisation data. 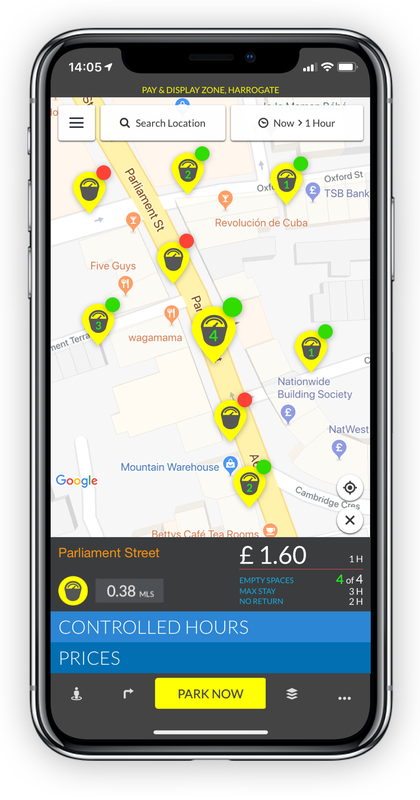 As the app gets used at scale, this means local authorities will for the first time be able to view parking heatmaps and demand flows, and generally gain a better understanding of how their parking assets are consumed. 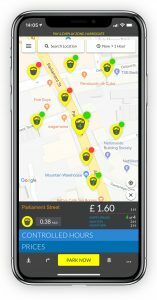 AppyParking’s ambition is for this insight to inform traffic planning, parking infrastructure, help stimulate the high street and prepare cities for a future of connected and automated vehicles. 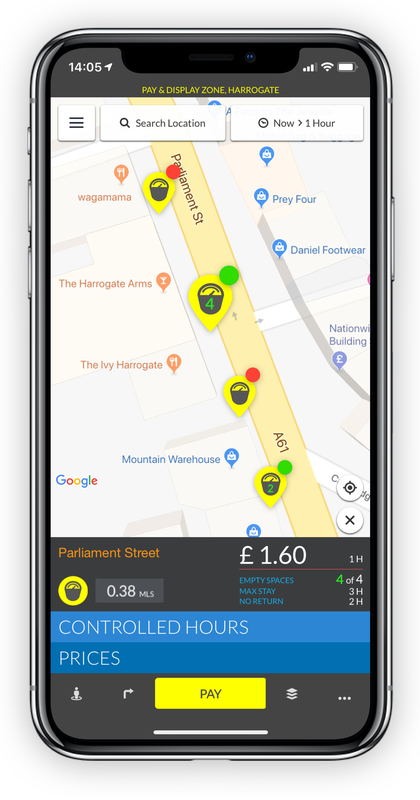 Commenting on the launch, Dan Hubert, CEO and Founder of AppyParking, said: “We’re so excited to be helping local residents and visitors save time finding and paying for parking in Harrogate. Delivering this project is testament to the positive relationships we’ve formed with forward-thinking and supportive partners like Visa, Harrogate Borough Council and North Yorkshire County Council. AppyParking and Visashare a vision for developing innovative solutions that remove friction for users when accessing and paying for transportation services. Visa supported AppyParking in bringing their concept to market by seamlessly implementing payments into the customer journey through One Click Parking™. The solution isbeing demonstrated in Visa’s global network of Innovation Centres including London, Dubai and Frankfurt, showcasing how new payment technologies are transforming consumer experiences in transportation. North Yorkshire County Council are responsible for on-street parking and Harrogate Borough Council manage off-street car parks.